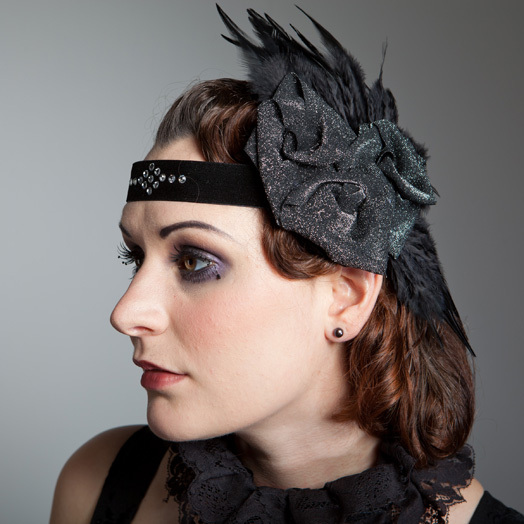 1920s Style Swarovski, Feathers and Roses Flapper Headband. Velvet band with swarovski crystal motif on front. 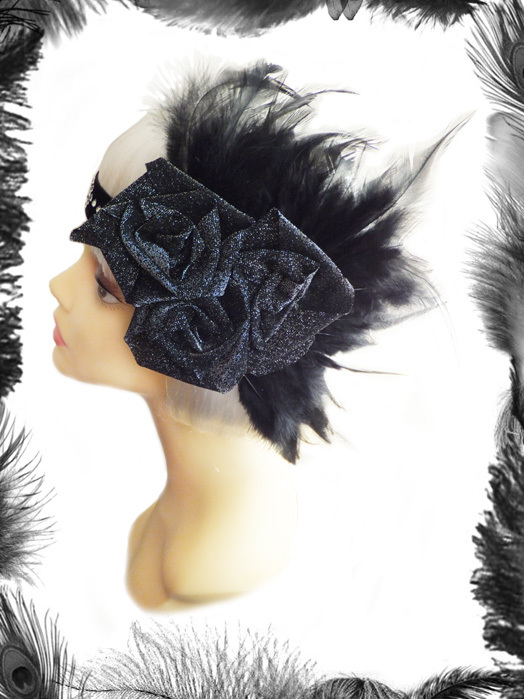 Black silver glitter fabirc roses surrounded by black feathers on the side. Elegant Sparkly Party accessory that also gives a wow factor! This can be made in other colours on request, just email us to discuss your requirements. Fastens at back with velcrox.